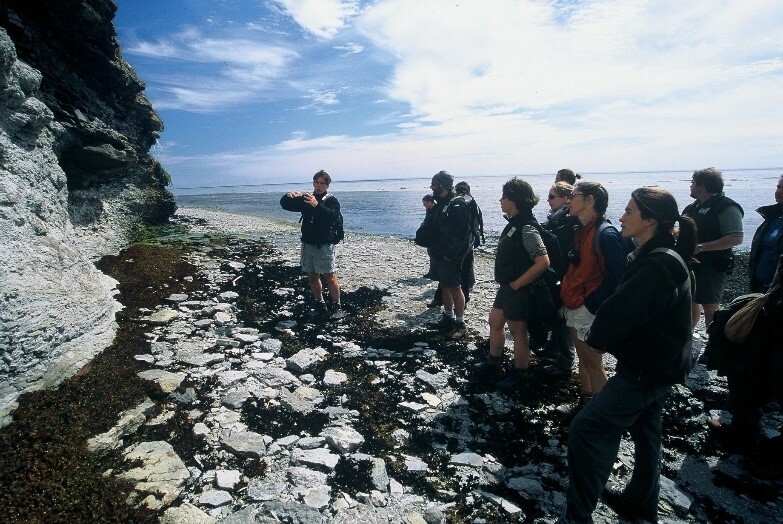 Located in Canada’s Gulf of Saint Laurence, Anticosti Island is home to one of the world’s richest deposits of fossils and sedimentary rock, dating back some 445 million years, a time known as the end of the Ordovician period. Like the pages of a mystery novel, these layers of limestone gradually reveal the secrets of over 15 million years of life on Earth. By studying samples from this fossil record, researchers recently made a discovery that sheds light on one of paleontology’s great questions: the causes of the first mass extinction of animal life. 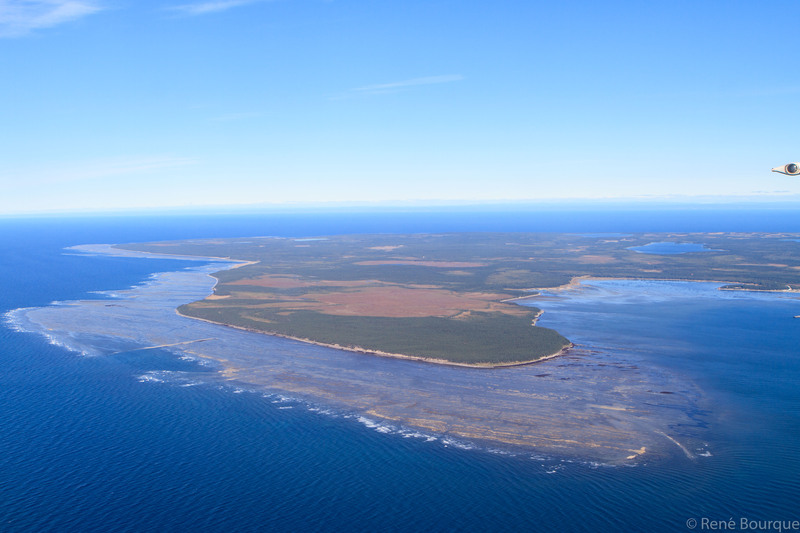 Anticosti Island houses the most complete fossil record of marine life. Research conducted by an international team of scientists, drawn from the University of Ottawa, the University of New Mexico, and the University of Birmingham, shows that the mass extinction of marine life that took place at the end of the Ordovician was triggered by marine anoxia, a drop in seawater oxygen levels that causes marine animals to asphyxiate. “This extinction is the first of the ‘big five’ extinctions that hit the Earth and our research indicates that it was coincident with the abrupt development of widespread ocean anoxia that lasted for at least 1 million years,” said Maya Elrick from the University of New Mexico, a co-author of the study. 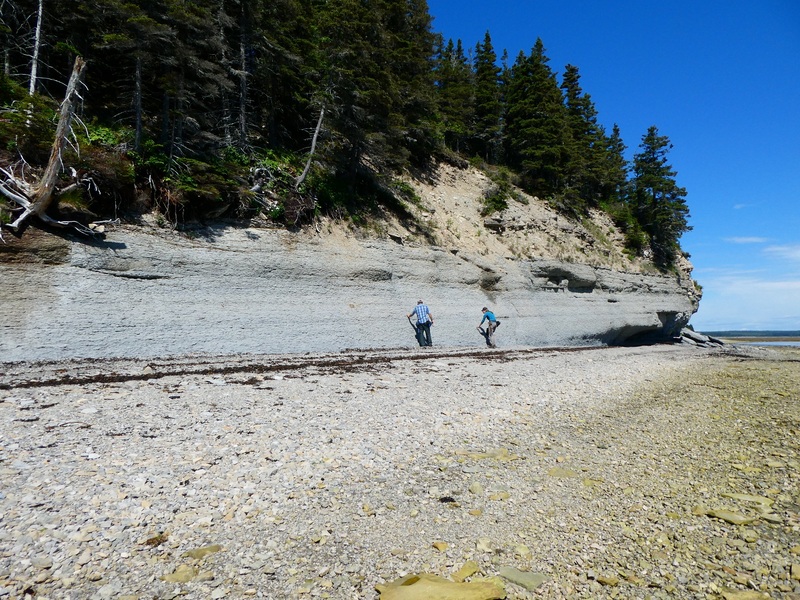 Professor Desrochers and his colleagues studying fossils on Anticosti Island. Before this end-Ordovician mass extinction, life on Earth was rich and varied but essentially limited to the oceans, which were home to various invertebrates, such as the lampshells, corals, trilobites and sea mosses. The complete article, entitled “Abrupt global-ocean anoxia during the Late Ordovician-early Silurian detected using uranium isotopes of marine carbonates”, has been published in the Proceedings of the National Academy of Sciences of the United States of America.